No, I haven't started decorating for Easter yet....I wait until after St. Patrick's Day at least! I pulled this photo from the archives because I know Easter will be here soon and I can't wait to decorate! I love decorating for Easter almost as much as I do for Christmas! This has been a crazy week! 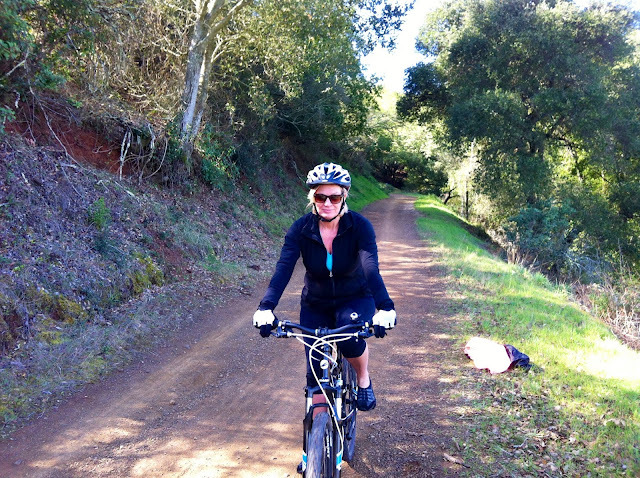 Last weekend my boyfriend and I went mountain bike riding...did I mention I bought a mountain bike? It was the first thing I bought when I found out I got a job and was no longer unemployed! Anyway, we sort of cheated...we took our bikes up to the top of a really steep road in the back of his truck and rode down the back side of the mountain on the trail. It was so much fun! Scary at times but fun! When we got down we took my car back up the really steep road so he could go get his truck. After I drove back down the really steep road, a warning light came on in my car! It said "TRANSMISSION FAULT"! Ugh! Anyway...my car is in the shop now. This week has been filled with finding a good deal on a rental car...not an easy task in Silicon Valley! They told me the rental car prices are so high because there is a convention in town this week and there is a shortage of cars! Ugh! Now I'm waiting to hear what is wrong with my transmission. I love my Jaguar but they are known for their transmission problems. Worst case..it's going to cost me $2,500 for a total rebuild but the mechanic said it may not be that bad! Fingers crossed!!!! At least this happened after I found a job! I think I wouldn't be able to stop crying if this happened when I was unemployed! I have to say...Mountain Biking is a BLAST!!! I need to thank Dan for turning me on to this great sport! The day after this photo was taken we actually got a better workout and road up a really steep mountain! I did pretty good but I had to get off my bike a couple times to walk it. My goal is to make it up all the way riding..which will help in my second goal...have toned legs by summer! Congrats on your new mountain bike. In Idaho, we live in mountain bike heaven and it's almost required to ride up and down the hills. Have fun and yes you will have very toned legs. Thanks for a great party! Cindy, darling idea to put the rabbits under the cloches. I need to remember that. Do you mind if I pin your photo? H Cindy , it sounds like the biking was a lot of fun, except for the transmission trouble . Car trouble is no fun at all. We've had a spate of it at my house too so I feel your pain. I'm looking forward to seeing your Easter decorating...its always so beautiful. Thanks for hosting and have a great weekend. Thank you for hosting Cindy! Your biking looks really fun and what great exercise! You'll get in such good shape you won't need that car --you can take your bike! Thank you so much for hosting... I just linked up my New Sewing Room Reveal!! Have a Great week!! Cindy-Good for you for biking. I like the coming down the mountain part and taking the car back up best! Love the new mountain bike.! Great idea for toning the legs. Glad you are enjoying yourself! 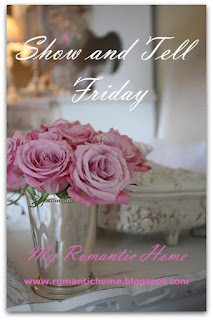 Have a great weekend and thanks for hosting! Thank you for hosting, Cindy. You look adorable on your bike! still look really good even with no makeup. I love your faux chocolate bunnies. I have a small one like that. Thanks for hosting, you look wonderful! You go girl! Looks like fun. Good luck with the car. Love the peek at last years bunnies. So cute! Sorry about your Jag. Hope it's not too painful when the bill comes. Fingers crossed for you!! You are an inspiration! I could no more ride a mountain bike than I could fly. Sorry about your car. Hi Cindy! Bike riding looks like so much fun! It's been a long time since I've been on any kind of bike.lol Thanks so much for hosting such a great party. I've been on the fence about buying a bike, but you've convinced me! Hope you have a great weekend--and happy St. Pat's day. Good for you, great exercise for the legs, I should get into it again. Bit lazy at the moment. Hope the car doesn't cost that much. My hubby would love a jag,but I say noway,too expensive to keep on the road. 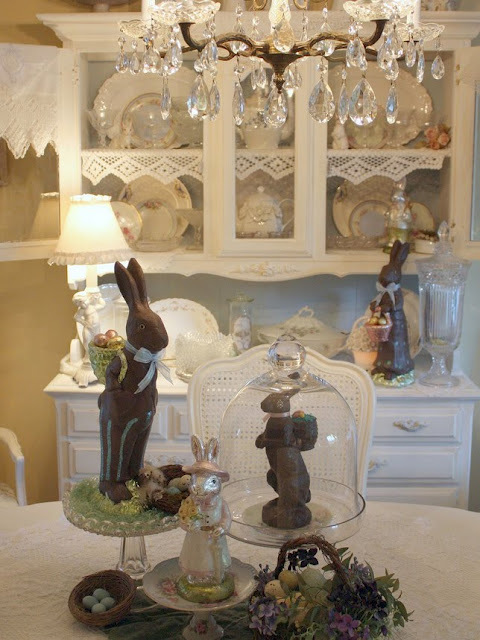 Love the idea of unwrapped chocolate bunnies for decoration. They look really nice. Haven't started mine yet either. Thank you so much for the party! And enjoy your bike! (+ COME SEE our bike fashion on our blog: http://www.finecraftguild.com/crochet-bike-handles/ ) You'll have the most creative bike ever! Good Friday morning to you! I have a recipe for DIY Organic Eye Makeup Remover. It only takes two ingredients-super simple and cheap. I love it, as do my little sensitive eyes! Thanks for hosting the party once again. Have a great weekend! I see you have a new Mountain Bike congrats, and thanks so much for hosting your linky party for all of us. I hope you have a wonderful St.Patrick's Day with your family. Lots of fun times ahead mountain biking. Thanks for hosting. Just when I think I'm not a 'sparkly' chandelier person I see your sparkly crystals on your into photo and I'm in love and want some sparkle. Thanks for hosting! So sorry to hear about your car, Cindy. Hopefully, it won't be that expensive to repair. Oh wow your dining room looks amazing already! I wish I had the space to do the same looking forward to your Easter post. I'm sorry about your car problems - I hope it's a quick (and cheap!) fix.